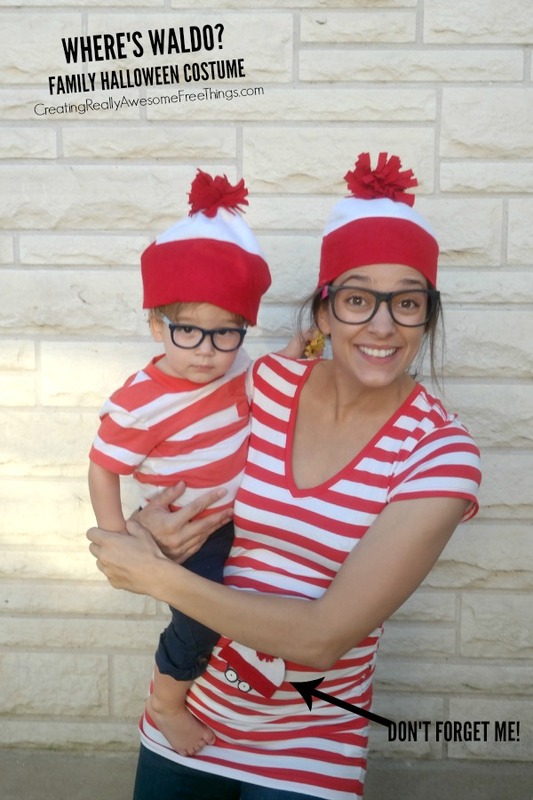 Where's Waldo Group Costume - C.R.A.F.T. My dad bought me a Where’s Waldo book many, many moons again, and I loved searching for Waldo and his lost books! (I had this one!) 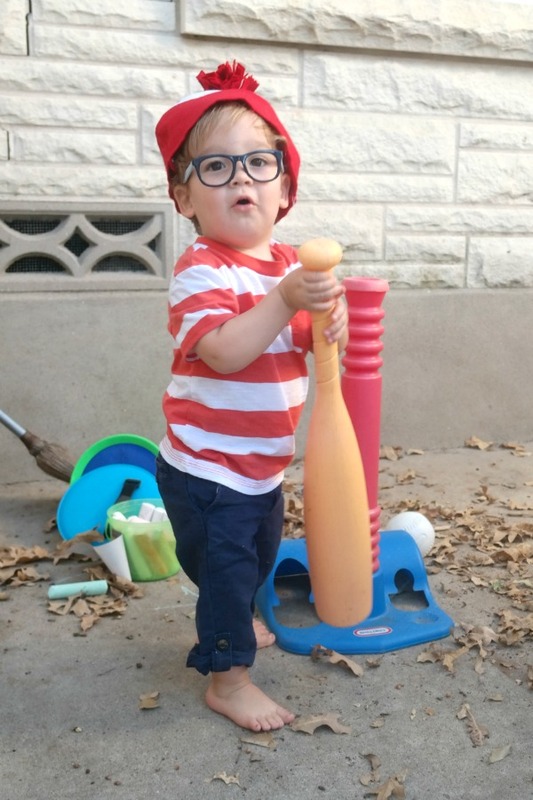 So, when planning fun group Halloween costume ideas that were good for the whole fam I couldn’t help but put Waldo on the list. I even love that Baby could be her on little Wenda in the belly too! And, as usual, I keep costumes as easy as possible. This one did involve a tiny bit of sewing for the hats, but other than that it’s just hunting down the right clothes. The hats are trickiest part of this costume. 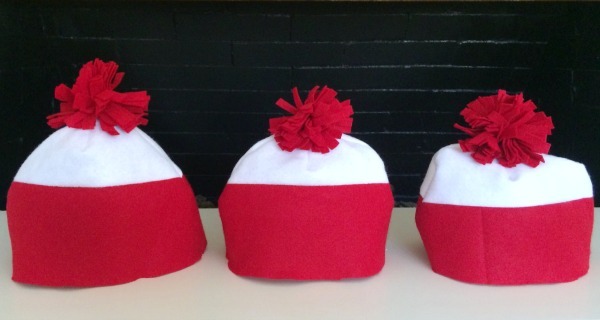 If you wanted to make things super simple, and order a Waldo Beanie off of Amazon for $10! And honestly, Maxwell is not a huge fan of his hat anyway! He did love the glasses and kept them on the entire time. I was shocked! And here we are as an almost family of 4 Waldo’s! Does your whole fam dress up for Halloween? Just the kids? I’d love to hear… Oh and for 33 more fun and easy group costume ideas, check this out! love this idea! thanks for sharing on craft schooling Sunday! What a cute idea!! 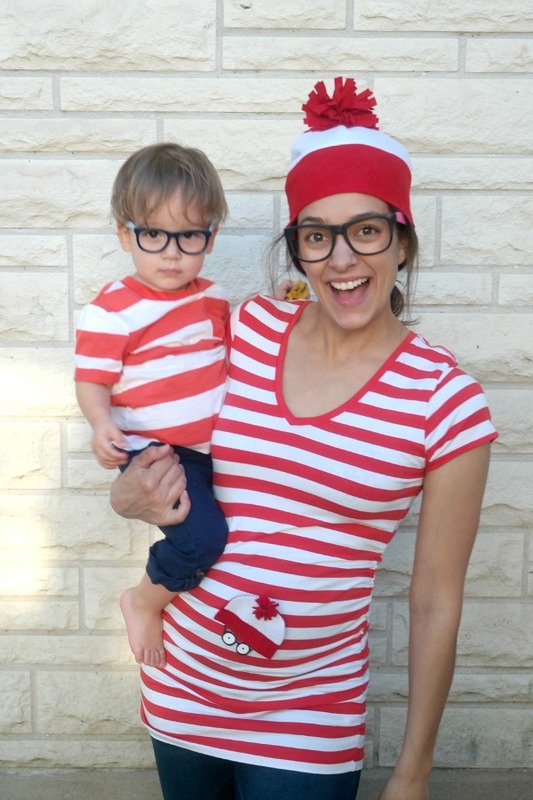 I was just telling my husband yesterday that we should dress up like Where’s Waldo for Halloween! Thanks for the DIY ideas! It’s so easy and comfortable! You’ll love it! Super duper cute! You and your son look awesome but the unborn stole the show! Great ideal. All three of you are super dooper adorable. Congratulations on your little bun in the oven! Great costumes! 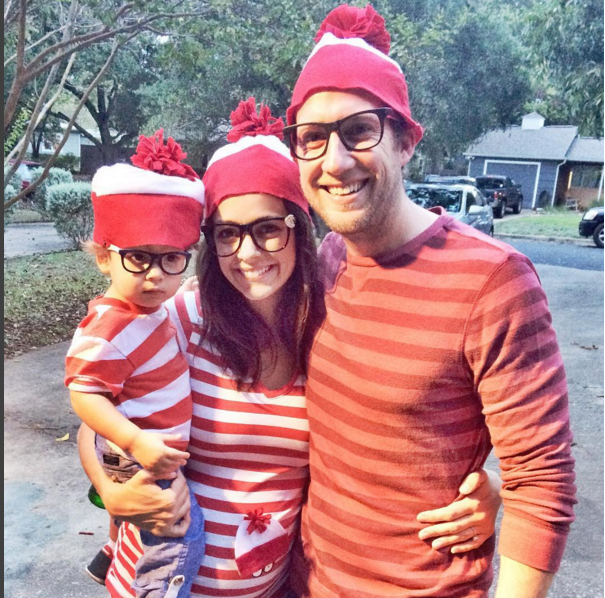 My husband is known at work for not being in his chair when someone needs/wants him, so I decided he should do Where’s Waldo as his costume last year. haha I loved it, but he wasn’t so keen. Such a cute family fancy dress. I actually bought the yarn to knit a where’s Wally (thats what we cal him here in the Uk, no idea why?) hat a couple of years ago and never got round to it. I must look it out. Your quick sew version is a really good much quicker idea though!